Pack Wolves & Pack Roles. Your wolf has finally earned its way into a pack, whether it be by choice or convenience, and now wants to prove that they have what it takes to be more than a Subordinate. So, now what? In order to gain a pack role officially, a character must complete five threads (that meet our thread requirements) that actively have them demonstrating. As you complete threads, your wolf will go from being untrained to a novice, then competent, practiced, skilled, and finally a master of that particular role. Your character's Pack Leader is responsible for titling roles onto character's that have earned them, so please make sure to review your pack's individual Common Room) where a list is kept of earned roles for that pack. It will also show up in your profile if you click on your rank in the pack. Each time you complete a thread, send your Pack Leader a PM with the link to the thread -- from there, your Leader is responsible for verifying the threads, and titling your character with their earned role. 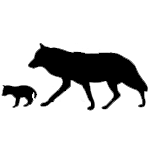 Whether they wish to simply provide the role, or hold an IC thread is completely up to their discretion. 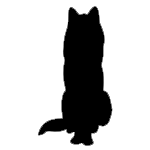 After gaining your character's role, you now have the ability to have your character gain an advanced role -- this role must branch from the original base role they currently have. To do so, your character must then complete three new threads (that were not used for the previous role claim) of your character actively demonstrating or practicing their role. Once completed, you must then PM your Leader once more, and they will adjust your title appropriately. Your wolf will start off as being untrained in all roles. It's easiest to picture their progress in terms of the diagram pictured on the right (click on it to see a larger version). As they progress, they gain proficiency and move from the inside of the hexagon towards the outer rings of the diagram until you each the edge, obtaining mastery. Your wolf can gain proficiency in any particular role. This experience stays with your wolf outside of their pack, and moving to a new pack will not erase this progress. However, if you have obtained a master rank, you will need to complete 2 more threads for your master rank to be reflected on the pack roster. Lone wolves will not be able to make additional progress towards a role. This is because a lone wolf will be more focused on trying to survive than on bettering themselves in nonessential skills (such as advising). This thread needs to have twelve (12) replies with at least three (3) posts of your character actively doing the pack role. To be "demonstrating" a role, characters must be using a role in a real life situation. For example, a scout must be intentionally looking for something with the intention of reporting it back to their leaders in order to be demonstrating their role as a scout. 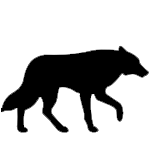 A character may demonstrate roles they do not officially have, as when a normal subordinate demonstrates the role of a hunter by hunting. Leaders may also claim this if they have lead a pack meeting. Just as Mufasa had Zazu, Robert Baratheon had Eddard Stark, and King Théoden of Rohan had Gríma Wormtongue, a great Leader has a right hand, who is often considered as a "second-self" and is usually the most trusted member of their pack (apart from their significant others). These individuals are often wise, worldly, and experienced. They understand to a "T" the importance of each of the other five roles within a pack setting and are quick to ensure that their Leader acquires them however they see fit. The roles of Leader and Advisor are closely linked. When Leaders are indisposed, it's the Advisor who acts in their place, and they a generally considered an authority by the whole pack. As such, many of their tasks are similar, and a character with higher proficiency in advising is also a more experienced leader. 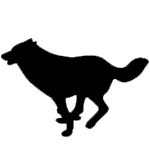 Threads must include at least six posts of one or more of these activities. Players confident in having their wolf adopt these roles often strive in having their wolf develop a well-established relationship with their Leaders and/or superiors. Even the most anti-social Advisor makes attempts to be well-aware of what goes on when their Leader is not looking! It is advised to often keep tabs on the territory - or territories - your Advisor commonly looks after; everything and anything that they could have and might have picked up on is essential (but please be aware of distinguishing what has been discovered in-character and out-of-character!). This role is often given to the more mature members of a pack due to them having "seen it all." In packs with younger Leaders (2-3 years old), parents are often honored to take up this role after stepping down from their role as Leaders. If Leaders lack an older, experienced pack member, this role might be handed out to the most experienced wolf or a close friend who has their head in all the right places and a chip on each shoulder. 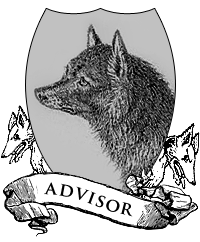 Because this role is heavily dependent on relations with other wolves (namely a pack Leader), it is not unheard of for an Advisor to be denied re-entry into the pack if their loyalty to the pack has been questioned. It goes without saying that the Hunter is an important role within a pack. They are often a pack's lifeline and provide for its members by any means available to them. Wolves are sturdy enough to survive 5-12 days without food or water; and, oftentimes, not eating one week then snacking and feasting the next is not unheard of. If the pack does get the chance to attack an animal, they will surround it and bite its neck, rear, head and sides to bring it down. Wolves rarely (if ever) hamstring a prey animal. The cause of death of the prey animal is usually massive blood loss, shock, or both; although wolves may snap the neck of smaller game. Once their prey is down, wolves will immediately start to devour it. The rump or hindquarters of the prey animal, as well as the internal organs, are usually the first parts of the prey animal eaten, and the muscle and flesh are usually the last parts eaten. Adult wolves are capable of eating about 20 pounds (14 kilograms) of meat at once; and, because wolves often go for long periods of time without eating, they eat as much as they possibly can when given the chance. If they cannot eat the entire carcass at once, they will often return to it at a later time, if it has not already been taken over by bears or other animals. While any subordinate is capable of hunting, a wolf devoted to the art of the Hunt takes the task to the next level by making the spirit of the chase their sole priority. Players of Hunters often make good use of the Faunas of Relic Lore library article. Their wolves are attentive and constantly push their bodies to and sometimes beyond their limits. 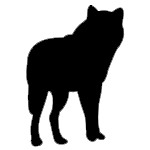 Suggestions in regards to Life Point stats consist of developing your wolf's Stamina, Strength, Speed and Skill - all of which realistically purvey your character's ability to hunt. Wolves will easily travel 20 miles (32 kilometers) in search of prey. They can often detect the scent of a prey animal from up to 1.5 miles (2.4 kilometers) away, that is, if the wind is blowing from the direction of the prey animals towards the wolves. Chases are typically short, as wolves will not attempt to pursue a prey animal if there's little chance that they will capture it. Attempting to chase and kill an animal that would be very difficult to capture would waste the wolves' energy. Wolves can run at a speed of 5 miles per hour for several hours, and are well-adapted for running long distances. Guardians are basically a pack's "security system." They do anything and everything within their power to keep their pack's members and belongings in their possession. They are also responsible for maintaining the pack's territory borders in their Leaders' very footsteps. Players who are developing adult wolves into Guardians - especially a Sentry or Vigilante - will want to invest time in establishing their wolf's Life Points in the Skill (determines Defense, Attack, and Damage stats) and Rank categories. Players raising a character from a cub into the role of a future Guardian might want to consider paying close attention to Stamina (determines Health), Size (determines Defense), Speed (determines Attack and Initiative), Strength (determines Damage) numbers... because, let's just face it, any Guard would want to make their Leaders proud in doing what they do. They must possess the Life Points that reflect their ability to defend what is theirs. Also, while a Guardian might typically be brawny and burly, no one ever said that a Guardian couldn't be quick on their feet too! Teachers in a wolf pack wholly devote themselves to making sure that their Leaders' legacy, traditions, and beliefs live on, even after they are gone. 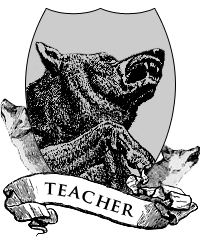 An established Teacher will even consider taking up an apprentice - who will, in turn, grow up along with a pack's newest generation - to further protect their teachings and the pack's heritage. 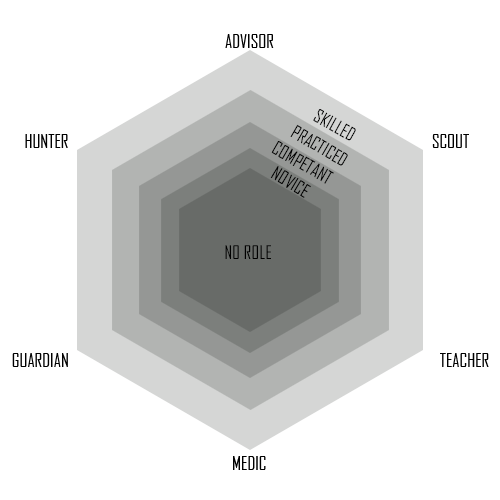 Players who wish to take up the challenge in becoming a Teacher might also find themselves performing an Advisor's duties depending on who they regularly interact with when it comes to training. A Historian might want to look into their past and relay personal stories to pack members who are willing to listen and learn from past triumphs and mistakes. A Disciplinarian might want to think about taking up stats similar to a Guardian (unruly youths and ignorant adults should always be kept in their place regardless of age and size). Remember, it is their duty preserve their pack's customs. It is also suggested that a typical Survivalist is built and trained to actually survive independently on their own (high Stamina and high Defense stats are two ideal attributes); they must also be able to prove that they are able to feed and fend for themselves (acting as a Hunter/Scavenger or singular Guardian). In times of war illness, it is in a Leader's best interest to recruit a Medic for the sake of their pack's well-being. They help ensure their members are taking care of themselves while they continually care for others; one notable duty they fulfill is tending to expectant Pack Leaders to ensure that next generation of cubs are born healthy and without complication. They are characteristically focused and calm under circumstances that would typically fray and unravel another's nerves. Their first instincts call for them to be selfless, thoroughly devoting themselves to another's needs there and then. It is not uncommon for an upcoming Medic to try and obtain as much information as they can before they pursue adopting the role and/or advancing forward into one of the two advanced branches of this role. Wolves who bravely fight on their pack's behalf and care for injured individuals in wartime may be honorably granted the title of "Battle Medic." Treating various injuries and ailments. Players interested in undertaking of playing a Medic often make use of the Florae of Relic Lore library article. A wolf's sense of smell is so keen that they can detect scents from up to 1.5 miles (2.4 kilometers) away if the wind is blowing from the direction of the scent source; and the scent of blood might summon within a Medic the need to act. It is this instinct alone that possibly separates Medics from the rest of the pack; in the place of blood lust and the spirit of the hunt, a wolf capable of healing will often act on the predisposition to help instead. For the Leader who wishes to also have an "alarm system," a "representative," or a multi-purpose "messenger" to carry out their agenda, recruiting Scouts are an effective way to be in more than one place at any given time. Like the Advisor, the role of Scout requires both Leader and subordinate to have an absolute and unwavering amount of trust between one another. It is not unheard of for a Scout to be ousted from their place within a pack after failing to show up on pack borders in a timely fashion. Depending on a Leader's preferences, a Scout may or may not carry a pack's distinct scent (the perfume and/or cologne of their leaders and members). Players with Scout characters often make use of and are mindful of the travel guide in The Regions library article. It has been noted that wolves trot at 5 miles per hour, and they can run in short bursts at up to 35 miles per hour; a well-trained Scout may slightly exceed these figures. They can travel as much as 30 miles per day hunting for food. Players with adult wolves who want to try out for the role of Scout are suggested to invest time in establishing a relationship with one or both pack Leaders to develop, In-Character, the much needed mutual trust between them. It is unlikely that a Leader will bestow the role of Scout unless your wolf has proven that they can be relied upon. For players wanting to raise and groom a cub from birth to the role of Scout are suggested to pay close attention to the Stamina (realistically purveys your wolf's ability to travel long distances for an extensive amount of time) and Speed (realistically purveys your wolf's ability to quickly travel from one place to another) categories. While Leader is both technically a role and a rank, with a lot of the behaviors and activities closely tied with being dominant, there are specific duties that only leaders may carry out. Leaders are known for their strength of character and being held accountable for their entire pack. Good Leaders are responsible and trust-worthy, or at the very least awe-inspiring and powerful. Leaders do not get demonstration points for join threads. They can claim separate +10 skill points for every 3 join threads. There are not levels of proficiency for leaders. Instead, the skills gained from demonstrating the leader role will go towards Advisor proficiency, as these two roles are closely linked. From birth until his or her last dying day, a wolf is inextricably linked to other wolves in a complex web of social relationships. The ultimate basis for these relationships is sharing food with some, depriving it from others, reproducing with another, and suppressing reproduction among others. Auditory perception in wolves is sharper than that of the fox; they are capable of being able to hear up to a frequency of 26 kHz, which is sufficient to register the fall of leaves in the autumn period. If there is sneaky business to be discussed, better opt to find a place that is well out of earshot! Lower-ranking males do not mate and often suffer from a condition of stress and inhibition that has been referred to as “psychological castration. Lower-ranking females are sometimes so afraid of the alpha female that they do not even go into heat. An active Advisor, either/both male and female Diplomats and Consuls, will ardently do whatever it takes to keep a Leader on top of any shenanigans going about during Breeding Season! The Lowest wolf is a wolf who occupies the lowest position in the pack hierarchy. Here, on Ruins of Wildwood, it is possible to have a male and female occupy the VIII. spot. This wolf sometimes plays the role of the scapegoat. When an Advisor cannot offer anymore support or means of natural stress relief, it is suggested to call on this particular wolf to help ease a Leader's anxiety. Wolves may eat only once every five to ten days. Where there are wolves, there are often ravens (sometimes known as “wolf-birds”). Ravens often follow wolves to grab leftovers from the hunt—and to tease the wolves. They play with the wolves by diving at them and then speeding away or pecking their tails to try to get the wolves to chase them. In the wild, wolves have many competitors for their food, especially ravens and other avian scavengers. In an attempt to protect food that cannot be consumed immediately, wolves have adopted a behavior known as caching. To cache is to bury food in a shallow depression thus preventing avian scavengers from detecting the item. Wolves then return and unearth the item later for a snack between kills. Keepers represent! And, scavengers "in the know" should find some way to learn about the graveyard of bones and various kills within the Ghastly Woods! It is easy to see when individuals have been caching as they have the telltale "brown nose" from tamping down the cache site. We're watching you, Keepers! Immense power is concentrated in a wolf’s jaw. It has a crushing pressure of nearly 1,500 pound per square inch (compared with around 750 for a large dog). The jaws themselves are massive, bearing 42 teeth specialized for stabbing, shearing, and crunching bones. Wolves can swim distances of up to 8 miles (13 kilometers) aided by small webs between their toes. Go get those salmon, catfish, and minnows, Fishers! Show us what ya got! About once a week, wolves patrol most of their territorial boundary. Brown bears typically dominate wolf packs in disputes over carcasses, while wolf packs mostly prevail against bears when defending their den sites. Both species kill each other's young. Wolves mark their territory using scent. They urinate and defecate at various points throughout the territory with increased frequency along the borders. They will also scratch with all four paws next to these markings to add scent from glands between the toes. Scent rolling is the act of pressing the body against a strong-smelling object or scent for the sake of olfactory camouflage. It usually begins with pushing a cheek against the object, then sliding on it until the side of the chest has cleared the object. Wolves will likely stand and repeat the process several times on each side of the body. This ritual is commonly performed with smelly carcasses (food), urine or feces from another animal outside the pack, or any other pungent odor encountered that is not a regular scent within their territory. The act of scratching the ground in a backward motion, usually with the hind legs, and sometimes also with the front, is typically performed by dominant wolves, but may also be done by mid-ranking individuals depending on the circumstances. Wolves do this scraping as a type of marking behavior, such as to announce a territory boundary to an opposing pack, or to claim a food item as their own. Biologists describe wolf territory as not just spatial, but spatial-temporal, so that each pack moves in and out of each other's turf depending on how recently the “no trespassing” signals were posted. Guardians keep those territory lines well-marked! High ranking wolves use direct eye contact to assert their rank over submissive pack members or as a challenge to another wolf. Wolves wishing to avoid a fight would do well with averting their eyes and respectfully lowering their bodies in apology. Surplus killing - killing more prey than the pack is able to consume in one sitting - may occur when adult wolves are teaching their young to hunt. Both Teachers and Keepers benefit from an event like this as cubs are shown how to properly make caches! Play is a major part in the lives of the wolf. Wolf pups learn skills that will help them throughout their lives with hunting, and communication skills. Hierarchy within the litter can also be determined through play. The more the wolf pups play the stronger they become. Shaking snow, rain, and even dirt off the fur coat is regularly seen among wolves throughout the four seasons. Wolves maintain a dual-layer fur coat. The seldom seen inner layer of fur is known as the undercoat; should a wolf become soaked to the skin, this layer of fur will not remain insulated as well as it had when it was dry. Good Medics will not allow their patients to get away with an unkempt coat! Wolves are fond of water and love their daily swim, which also serves to eliminate ticks and fleas. A running wolf holds its head slightly low and cocked to one side, directing one ear forward and the other back. This posture allows the wolf to continually make use of its exceptional hearing. Wolves howl to contact separated members of their group or to warn rival wolf packs to keep away. Establishing Inter-relations with other Wolves. The Advisor & other roles. While some packs usually have only one Advisor, there are lots of potential benefits to be had when acquiring two. Depending on personality types, they may either be at odds against one another or work together to give their Leader(s) the most reasonable advice after discussing important matters. Two Diplomats may share with one another the status of neighboring packs; two Consuls, especially in having one male and one female, might display traces of possessiveness towards certain Leaders, but both wholly benefit from keeping one another informed of their superior's activities. Rivalry between two Advisors and a favored Leader might often spark a number of heated arguments. An Advisor and a Hunter might seem like an odd duo but the union of such individuals bring about the discussion of ideal pack events. A Consul who listens to what a Tracker, Fisher, Keeper, or Scavenger might have found may find that they have several reasons to suggest that their Leader(s) rally the pack together for a feast. Diplomats are quick to settle any bouts two Hunters might have in regards to what plans of action should be taken in order to feed the pack. A Diplomat paired with a Guardian may find themselves conversing about how to best go about ensuring their superiors are kept safe; both roles constantly find themselves dealing with affairs that occur at territory boundaries. Consuls and Guardians readily establish, time and time again, what it takes to keep an eye on their Leader(s) on and off pack soil. As Advisors look after their Leaders, Teachers typically help look after their Leaders' offspring. Diplomats, when paired with a Teacher, allow for cubs to easily learn social norms. A Consul and a Teacher may help groom individual cubs for the roles they may take up in the future. Should an Advisor possess abilities in identifying beneficial plant-life, the Medic is quick to make notes or humbly correct them. The combination of an Advisor's intellect with a Medic's knowledge allows for a sort of mutual respect and opportunities in helping one another grow. 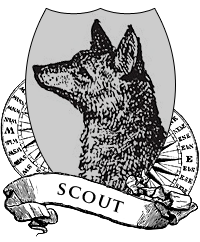 A Diplomat and Scout allow for a pack to easily keep pack alliances; the Diplomat, acting upon the pack's wishes, relays information to the Scout, who then carries the message or token to its destination beyond pack borders. A Consul and a Scout readily take a Leader's command into consideration and quickly dispense breaking information from one pack member to another without expending a Leader's valuable time and energy. The Hunter & other roles. The union of a Hunter and a Diplomat benefit the pack when either suggest to rally the pack together for a pack hunt; especially when the hunt leads to sharing a kill site with allied packs or invading neighboring pack's caches and hunting grounds. When a Consul works with a Hunter, it is usually when a particular member is in need of being cared for, or if the Hunter is in need of an honest evaluation. Two Hunters, depending on personality, can make or break a successful team. Two Trackers are capable of finding kill sites in half the time it would take a normal hunter to discover one; two fishers catch double the amount of fish or catch fish twice as fast as a single Hunter. Two Scavengers may retrieve twice as many trinkets and morsels in half the time it would take a pair of Trackers or Fishers. To the delight of the "independent" pack wolf, having one type of Hunter and a Fisher provides the pack with a variety of snacks. Having a Keeper pair up with any of the three types of Hunters allows for the retrieval and storing of valuable goods. Both Hunters and Guardians rely upon one another; as the Hunter provides food for the Guardian, the Guardian repays the Hunter in keeping them safe from harm. Hunters and Teachers primarily excel in helping the pack's younger members learn the basic skills they need to know in order to thrive as an independent individual. In working together, they ensure that the next generation has the best chance for survival. A Survivalist and a Hunter - together and/or with another, less-experienced member - especially enforce potential learning experiences. Hunters are typically called upon by Healer and Herbalist alike if a patient is in need of a catered meal or if something particular is needed to be fetched while the Medic is unable to leave their den or post. Scavengers and Runners with the gumption and gall to trespass onto rival pack's territories might find themselves lucky if they are able to get away with raiding enemy caches unnoticed. The Guardian & other roles. Sentries who deal with the comings and goings of the pack's Advisor are prone to learning all sorts of interesting tidbits of the things they pick up outside of and within pack borders. It is often under the Advisor's word that a Sentry and Vigilante will act. Often it comes down to these two varieties of command: The Leader will speak, the Advisor will revise and deliver, and the Guardian will listen; or, the Advisor will advise, the Leader will consider and command, and the Guardian will listen. As Hunters come and go for the sake of keeping the pack fed, both Sentries and Vigilantes alike keep a close eye on when they arrive and depart. A Hunter who brings back anything or anyone that looks or smells suspicious might find themselves in a bit of trouble as Guards make it their duty to ensure nothing harmful passes over their borders. When opting to recruit more than one Guard it is suggested to have at least one Sentry and one Vigilante. While the generic Guard will busy themselves with maintaining pack markers, a Sentry primarily looks to the outer edges of the pack territory and those who dare dwell along its lines; on the other hand, the Vigilante has their eyes facing inward, making sure that all pack members act accordingly to their rank and heed their Leaders' words. A Sentry and a Vigilante together could possibly counter one another: the Sentry acts with physical force before talking, and the Vigilante talks first before acting. The Sentry or Vigilante, paired with a Teacher, offer excellent protection for a Pack's legacy - the Leaders and their offspring. Not only will a Teacher readily step in to help teach the young what it takes to be self-reliant and robust, but the Guardian will ensure that an unruly, rebellious, and greedy child will not successfully unseat their parent without consent and take over the pack for themselves. Sentries and Vigilantes teamed up with a Medic provide the pack with an excellent emergency assistance and first aid. Aside from the Scouts, Guardians are among the first to alert the pack if there have been any major accidents on or near pack territory lines. A Scout who keeps the Vigilante or Sentry informed will find that their breath will not be wasted. When met on territory borders, the Vigilante will often dictate pack laws as the Sentry will physically test them before allowing them to continue onward in their task. The Teacher & other roles. Teachers and Advisors almost always go hand-in-hand. A Survivalist is quick to offer their own advice in regards as to what should be done to guarantee a pack's survival. A Disciplinarian will offer a weighty opinion on certain matters pertaining to how the youths of the pack should be handled and/or dealt with. A Historian, especially when "on the same page as" an Advisor, will help a Leader and their pack continually move forward while keeping the past in consideration. Of the three types of Teachers, Survivalists are most likely to have any truly serious business with any of the four kinds of Hunters. A Survivalist will effortlessly make friendly rivals of the Hunter and will accompany them in the spirit of the hunt. Disciplinarians are quick to break up any spats a Survivalist and Hunter might engage between one another. 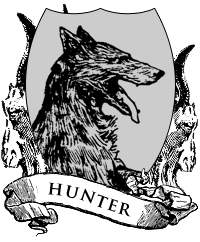 The Historian who works with the Hunter will take note of successful hunts, when and where they occurred and will often praise the most impressive skills of notable Hunters to continually better their apprentices and adversaries. 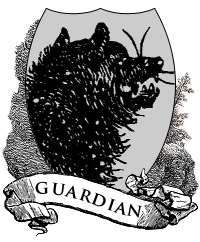 The Historian who deals with the Guardian will often express their concerns should any trouble arise in where a pack's future is going; they (in regards to the pack Advisor) willingly interject any observations and stories they know to support their decisions ("The pack that once lived in the heart of Cedarwood Forest were prone to attacks, even under the trees the grizzlies sought after them; I suggest that the treeline be heavily guarded as other predators come this way by migrating herds."). A Disciplinarian will take delight in keeping a well-trained Vigilante or Sentry company as their mannerisms are both based on order and austerity; it is usually under a Disciplinarian's guidance that a wolf will take up the role of a Guardian. The Survivalist, when put up against a Guard, will find themselves put to the test when practice sessions are evoked; against a Sentry their brawn should be matched, and against a Vigilante their skills with persuasion will be balanced. A pair of Teachers while offering various effective approaches as to how to teach and educate the pack might find themselves at odds should one view counter the other. One might be a hands-on type of individual, while the other might prefer visual techniques by allowing their pupil to watch-and-learn. Survivalists and Medics sometimes see eye to eye, but most often don't; they both, at least, want someone to survive (even if the Survivalist prefers it to be themselves and the Medic prefers it to be their patient). A well-practiced Survivalist will often help educate the Medic-in-training, especially if they have a background in handling beneficial plants. The Historian is capable of taking into account previous events and how to apply them to present circumstances (If a mother has had difficulties in bearing her litter, there is a very good chance the Historian will send extra Medics to keep watch on her daughter and her cubs in the future). The Disciplinarian and the Medic, like the relationship held between Disciplinarian and Guard, is a close one. It takes practice and patience to become a skilled Medic and the Disciplinarian will gladly help them in their training. The Medic & other roles. A Medic who keeps in touch with the pack Diplomat might find themselves placed on retainer, helping a neighboring pack that usually does not have enough Medics or lacks one completely. An Advisor will generally only converse with a pack Medic if concerns arise regarding a Leader's health. The Healer or the Herbalist will be smart to find a friend within any of the four types of Hunter. They should be more than capable in retrieving any materials they need. The Healer who recruits the Hunter manages to keep their patient well-fed; the Herbalist who works alongside a Hunter might be able to retrieve all the herbs they require in fewer trips and lesser time. A Healer who finds use for a Guardian will acquire their aid if the patient in question is prone to bouts of hysteria or delusion. A Herbalist who requires the Guardian's aid will benefit from their protection while venturing into dangerous territories on their own. Both Healers and Herbalists do well with learning from a Teacher who has had a previous career as a Medic. When opting to introduce cubs and yearlings into the "profession," these two roles will usually consult with one another on how to go about assessing potential apprentices. 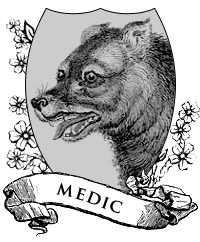 When two Medics reside in one wolf pack it is usually suggested to have a Healer and a Herbalist. Both advanced roles are capable of healing, and are able to address a variety of patients between the both of them. Two Healers will often share an Infirmary inside the pack territory, keeping the scent of injured or sickly wolves centralized and in one place. Two Herbalists are skilled in retrieving several ingredients over the course of one run, especially when each wolf goes their own route and picks up a secondary list of items. When a patient is in dire need of a remedy, a Medic might send for a Runner to accompany the already busy Herbalist; this allows for the Herbalist to stay 'out in the field' and quickly send back much needed materials with the Runner. A Lookout will generally serve practicing Medics by reporting any strange behavior they spot while overseeing pack lands, fellow pack members, or rival pack activity, especially when the threat of biological warfare is present. The Scout & other roles. The Runner and Lookout who converse with an Advisor will find themselves feeding information through a sort of "filter" when unable to speak to their Leader(s) themselves. It is suggested when dealing with the Advisor, both types of Scouts make use of their vocabulary and be mindful of the accounts they give as the Advisor will often "edit" a report to break any news to a Leader in the best way and manner they see fit. A Runner and any of the four types of Hunters allow for the giving (and maybe even receiving) of gifts between allied packs. A Lookout and any of the four types of Hunters easily establish a relationship to keep Leaders informed whenever an opportunity to take down ideal prey is discovered. Scouts and Guardians will do well in recognizing early on that the survival of the pack rely on them and the security system they create and uphold. Usually their relationship has a give-and-take sort of outlook; the Scout who receives orders from the Guard will act on them, the Guard who receives information from the Scout will be all the more aware of their surroundings. They will also go out of one's way to protect one another as their ability to engage their senses on an aggressive level spurs them to both react instinctively. A Scout teamed up with a Survivalist make for a reliable duo when it comes to trusting a message to travel over a long distance. A Historian will readily provide words of encouragement, casting away any doubts in relation to the role and providing brief history lessons when applicable (family traditions and stories regarding past Runners and Lookouts or even secret pathways founded by other pack members). A Disciplinarian willingly helps train an upcoming Scout by providing challenges and helps shape Runners and Lookouts into the wolves they need to be for the role. The Runner who aids the Medic does well in retrieving materials at an extermely fast rate. The Lookout conveniently retrieves or relays messages to the Medic should their skills be required in the event that a pack member or individual needs their help. For two Scouts to work together means one thing: a pack is well-looked after. An ideal set-up is to have one Runner and one Lookout. The Lookout will stay on pack soil as the Runner heads out beyond territory lines. They may develop their own secret communication system - consisting of howls and loud barks - to communicate with one another over vast distances. Two Runners easily keep the pack informed and up-to-date with numerous allies (with one coming and one going or each Runner headed towards different locations). Two Lookouts readily absorb incoming information and are quick to relay it to the rest of the pack.